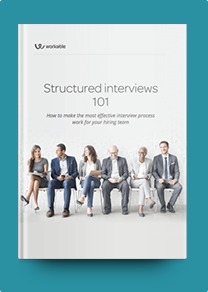 This Product Manager interview profile brings together a snapshot of what to look for in candidates with a balanced sample of suitable interview questions. The product manager, as Ben Horowitz so memorably put it, is the “CEO of the product.” This person is your primary brain trust when it comes to designing and building a beautiful, user-friendly and commercially successful software product. The person that you hire should have deep knowledge of business, technology and user experience. They will draw upon this expertise to direct your teams in the development of your product. When sourcing product managers, your candidate should be able to speak at length about software products they’ve previously launched. They should include sharp observations about their customers and competition in these descriptions. They should have a solid grasp of engineering concepts and be able to build great working relationships with engineers. Discussing the basic architecture of a product they have launched should come easily to them. Finally, a good product manager is fanatical about user experience. A strong candidate will provide several examples of lessons learned from talking to their product’s users. Pro Tip: Ask candidates to use your product prior to the interview. And then, during the interview, ask them to list the pros and cons of your product. Dive even deeper—get them to tell you how your product might evolve in one or two years. See if they have independently come up with the same conclusions and concerns that you have, or if they’ve taught you something new. See how well their road map aligns with your current road map. Describe a product you have launched, as well as your customers and competition. Walk me through your process for designing product features. Name some people or products have influenced your approach to product design. Where can we see this influence in your work? How would you monetize a popular service such as Twitter? Describe a commercially successful product that you like. What makes it so successful? You’re about to launch your SaaS product. How do you get feedback? Describe a time your engineers were opposed to a decision you made. What was the issue? Defend their point of view. Describe your experience with writing product manuals. Our product has these particular shortcomings. What steps would you take to improve them? What tools do you use at work? How would you evaluate these products’ efficiency? How would you spend your first week on the job?